After our first longer trip with kids (7 weeks in Asia when they were turning 1 and 2), I wrote an article about 20 things we learned about family travel. Now that we have done a lot more travel with our kids, I decided it was time to add to this. We have definitely learned a lot more over the past three years. Also, as they get older, we need to do things differently. 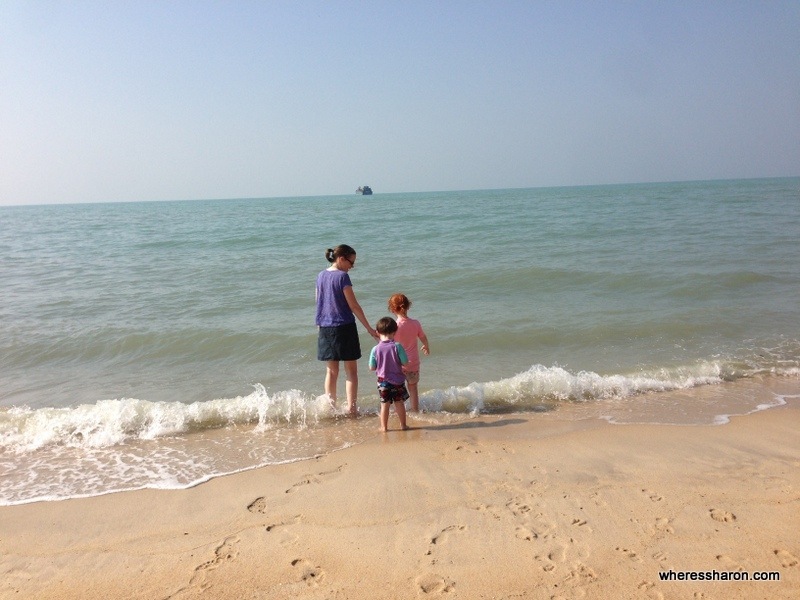 I am hoping that by writing these here, you can also learn and avoid making some of the mistakes we made – or just avoid some of the common misconceptions of family travel. 1. Travelling with kids is awesome! We learned this after our first trip and it’s only been reinforced. There’s no reason to use your kids as an excuse not to travel. 2. Travelling with kids is different to travelling without kids. The primary difference is that your job (ie parenting) travels with you. You still need to deal with kids waking at night, getting bottles, changing nappies, getting meals, doing washing etc etc. This doesn’t mean that it can’t be lots of fun, it’s just important to have the right expectations (or even better – have none!). 3. 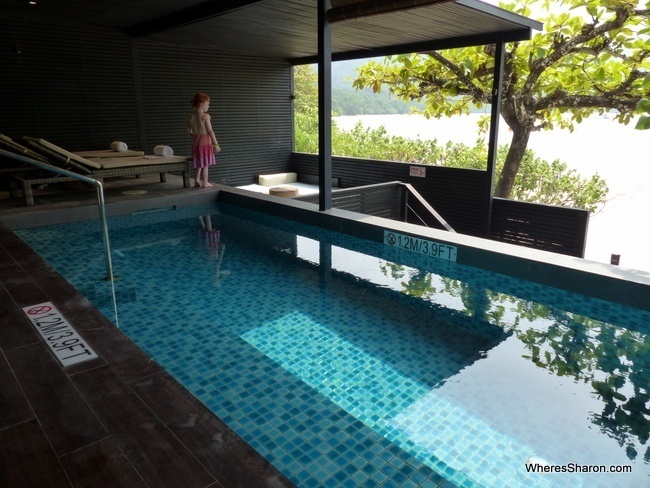 It is possible to have a more relaxing break when you travel with kids. If this is your aim, though, make sure you choose a type of trip where this is possible. I recommend cruises and all inclusive hotels. 4. Have realistic expectations of what you can achieve while travelling with kids. We are rarely disappointed while travelling as we don’t expect to do as much as we did pre-kids. I do recommend prioritising attractions that are important and doing them first as you never know what might pop up. It’s also important to keep a good attitude – water parks are usually more fun than museums anyway! 5. It’s also important to keep a good attitude about doing things that might seem like a waste of time when you are in a foreign country. For example, going to the local playground can be a great way to interact with locals, so think of it that way rather than just doing something you would do at home. 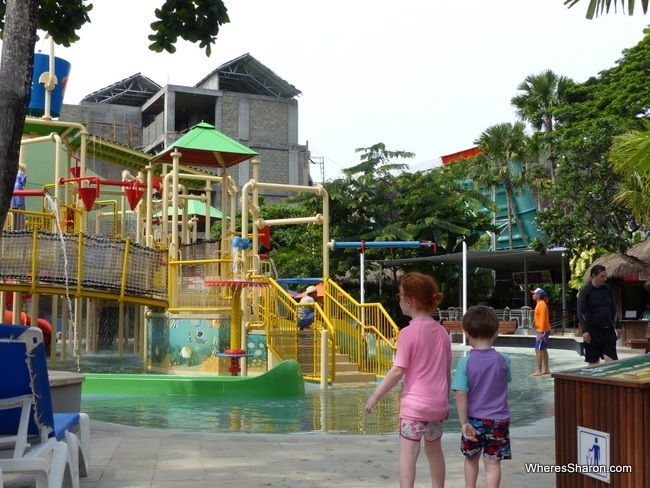 Waterbom Bali – so much fun! 6. Plan for only one major attraction a day, at least with preschoolers. We find this works best. They just don’t cope well with a whole day of activities. For minor attractions, a few can fit into a day but, again, prioritise what’s important so you aren’t upset if you don’t make it to the last thing on your list. 7. Unless your trip is very short, factor in some days to do nothing. Our kids need days to just play at the hotel as well or they get to the point where they stop wanting to do anything. 8. 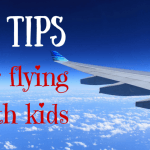 You don’t need to fear flying with kids. 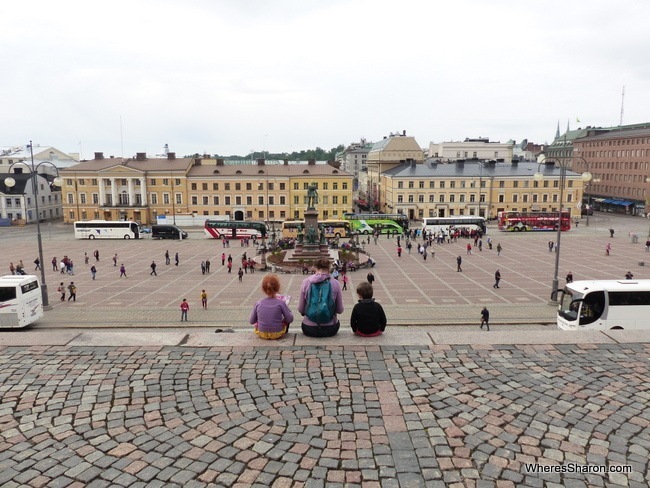 It was probably one of the biggest hesitations I had about travelling with young kids but after all the flights we’ve taken, there have only been a couple of bad ones – when we just had S and she was 17 months old. We nearly swore off flying long haul with young kids after that. Thankfully, we didn’t as it wasn’t an issue again. You can read more flying tips here. Location – it’s important to be near lots of food options especially. Size – things are generally more enjoyable when we are in an apartment or bigger hotel room. We find small rooms are fine as long as we don’t do them for weeks on end. Cleanliness – ultra important when we had crawlers. Hotel facilities – this was especially important when our kids were younger and needed lots of chill time at the hotel. Balcony – when the kids were younger and napped, this was a great way for us to get out of the room and do other things when we were in hotel rooms. 10. I have not been blessed with good sleepers, so night wake ups were a problem on our trips when they were younger. I was worried the kids would wake up each other but it was never a problem. It probably helps they shared a room at home too though. Our “backyard” in our gorgeous suite at the Andaman Langkawi. I don’t think it would be possible to not enjoy a holiday here! 11. Take the time to take some nice holiday photos. We found this a great way to help the kids remember our trip. You don’t need to be a professional photographer to save some nice memories. Most of the time, actually, I have just taken photos with my iPhone. I find it easier than lugging around more gear and then whenever I get some downtime (like when waiting in a restaurant), I can easily edit them and then share them on Instagram to show people what we’re up to. There’s a handy list of holiday photography apps here. 12. 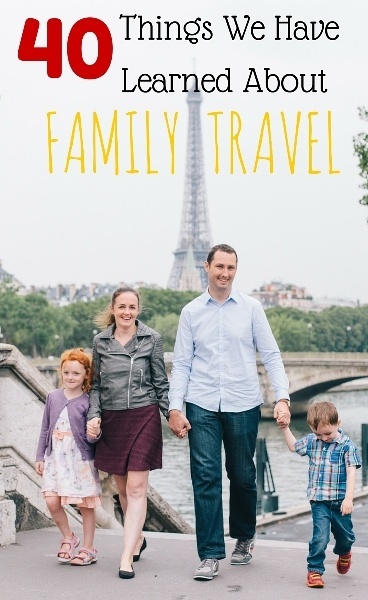 Journals are also a great way for your kids to capture their travel memories. Our kids don’t write much yet so they just draw the pictures and then we either write next to them what they tell us or we help them write it. Educational, fun and great memories. 13. In general, travelling in Asia with kids is made a lot easier by the fact that everyone seems to love kids! Plenty of people will smile and interact with our kids and I find I relax much more when we are out and about, eating in restaurants, etc than what I am able to in Australia which makes things much easier. 14. The stroller is a necessary evil when they are young – I say evil as travelling with a stroller can definitely be annoying. I found it so useful for naps and just getting around more easily. Carriers are also great and we always took one of them as well. Unfortunately, they are just not a complete solution when you have a 20kg 2 year old as well as a one year old, and they can be sweaty in the heat. I do recommend you only take a stroller that is a lightweight option and easy to transport. You can read our guide here. 15. For younger kids, we recommend taking a travel crib if you don’t want to co-sleep. Cots are usually provided in the places we stay, but the quality drastically varies and we usually found them too small in Asia and no good if your baby is old enough to pull themselves up. 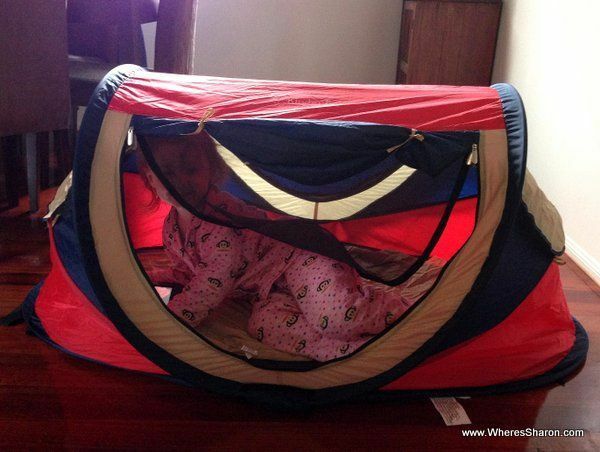 Travel cribs can be very small and lightweight and we found having a consistent sleeping environment also helped Z sleep. 16. Some types of sleeping mats can work very well as an extra bed for toddlers and older kids. We find this a great cost saver – often in South East Asia an extra bed is 50% of the room cost! It also gives us greater flexibility and more hotel choice. Read more about kids gear we recommend here. 17. We don’t generally travel with car seats. It’s just too much to take those extra pieces of luggage and they are just not practical in many destinations – you won’t always find seat belts in taxis in many Asian countries for example. Not everyone will feel comfortable with this, but I think you just have to let some stuff go when travelling to certain destinations and car seats are one of them. We always have them when we hire a car (and you have to in some countries) and we usually just hire them along with the car. We also travelled with our own travel boosters seats for S in Europe which was a very cost effective way to go. You can read more about them here. 18. The iPad has often been our saviour. A tablet the kids can use is very handy on long flights. This is the only time our kids get unlimited access and they lap it up. We have actually found it has become less necessary as they get older though. 19. Travel as light as you can. This seriously makes life so much easier! It’s really hard when they still need baby gear, but we spent months travelling with our preschoolers with carry on only and it worked so well. It saves money, time and effort. All things I love saving! You can see one of our packing lists here. 20. It is easy to make excuses based on your kids ages – they are too young, they won’t remember it, it’ll be better when they are older, they’re too busy with friends and activities etc. The fact is that EVERY age has its pros and cons. Our oldest is only 5.5 years old so we haven’t experienced all ages yet, but I am sure this will keep being the case. I especially urge you not to use young age as an excuse. We found travelling with babies and toddlers easier than we imagined and, actually, I think it was easier than now. They were much happier to do whatever as long as they were with us. As they get older they are fussier and need to have more input – which is also great as it can make it more fun and more exciting. I just miss some of the more adult things we were able to do when they were younger! Plus, school makes things more complicated. 21. Include your kids in your travel planning and preparation. From about 2 years old, this was possible although it’s only more recently that they suggest destinations. This makes for a more exciting trip for everyone and I think it also helps to prepare them for what’s ahead. Remember to not only talk to them about the fun things (although I definitely emphasis these), but everything else that will happen like going through immigration at the airport to checking in at the hotel. 22. YouTube is a great resource for planning with young kids. My kids love being able to see the attractions at the destinations we are thinking about visiting. Even adult focused videos work well. 23. On the topic of naps, don’t be frightened to try new routines when you travel. When we went to Asia, we would add an extra nap to our young kids schedules and then they would be able to come out in the evening and we weren’t stuck eating at 5pm. It worked very well. 24. In saying that, though, we found keeping to a routine incredibly important regardless of our kids ages so far. It can change from what it was at home, but it needs to stay reasonably consistent. Sleep and being well fed is definitely the key to happy children for our family. 25. Concentrate on the good things that travel is giving your children, not the small negatives. 26. Sometimes it is good if your kids get upset and make lots of noise – like in immigration lines! In Asia, this will often be enough to move you to the front (if they haven’t moved you already). 27. Consider going at a slower pace than before kids. We find we can still do things relatively fast as long as we factor in some down time as well. 28. 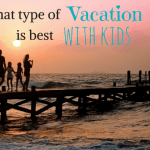 Kids love travel too! I never understand how people doubt that kids can love it too. They get both mummy and daddy and our kids lap up all the quality time together. We do lots of cool things and they love catching all the different forms of transport. It’s really not hard to find things when travelling that the kids can love too. 29. We find flying easier with young kids than going overland. 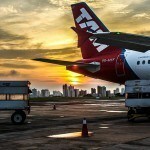 Airports can be easier to navigate than bus stations and, although all the waiting around can be annoying, the journeys are better broken up rather than a long time in a bus. 30. Private transfers can also work well when they are affordable. Driving ourselves, though, is probably what has been the easiest. It’s great having the flexibility to do everything on our own schedule. However, there are plenty of places I don’t want to drive so I don’t always find this to be a practical option. 31. When you have the choice, take frequent breaks on road journeys – we find about every two hours works well. Try to factor in a cool attraction or a meal at this time to make it more fun. 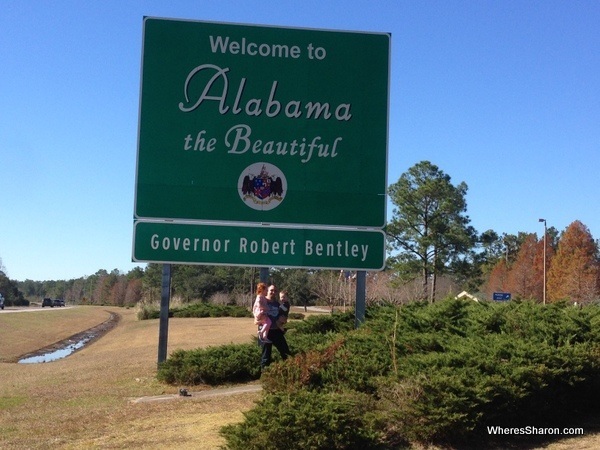 On our US road trip this was very easy to do and a great way to see other places along our route. 32. I often think of the Australian Government anti terrorism message when travelling with kids and think it can be applied to family travel as well! Be alert, not alarmed. Know what you’re doing, know the dangers and be alert to them, but don’t let them take away from your enjoyment or stop you travelling. 33. Be well prepared. No doubt there are some parents out there that are far more easy going than me (and kids too!) and find it easy to just go with the flow. For me, however, I need to be well prepared to feel like everything is flowing smoothly and not to worry. I like to always know where we are, where we are going, how we will get there and to be prepared with drinks, snacks, etc. 34. Always take snacks – even on full service airlines. Sometimes there can be quite a wait to get any food and little kids are not known for their patience. You never know what might happen either. 35. Be flexible. If you can plan trips outside of holiday periods then you can save a lot of money. I am definitely cursing the fact that we are stuck with school holidays for the time being. It makes everything so much more expensive – avoid it if you can. 36. One of the toughest things I have found about parenting and travel is balancing rewards for good behaviour versus a distraction from bad behaviour. Obviously, I don’t believe in rewarding bad behaviour. However, sometimes when travelling there are times when I just have to get the kids bad behaviour to stop anyway I can. I still struggle with how to best handle this but it is something I would recommend thinking about before you leave and trying to work out how to consistently apply rewards and punishments on the road. We still use things like time out while travelling – they have to go to a bathroom or outside or anywhere that removes them from the situation. It can feel strange doing this in public to start with but you soon get used to it. The other problem is that strangers would often offer our kids a lolly or something when they were younger if they were upset or having a tantrum. It was quite effective, but it also encouraged bad behaviour. 37. When the kids are young in particular, I recommend travelling to places with very kid friendly locals. We definitely found it easier being in countries like Thailand and Malaysia than Taiwan and Europe. Whenever we were somewhere where we could see that our kids behaviour was being frowned upon, we’d react by being stricter and then they would actually get more out of control. I’d recommend trying to not react just based on local reactions (although obviously be as sensitive as you can to local customs and values), but keep being consistent and doing what works even though there may be pain at times. I have definitely found that Australian kids in general seem to be far louder than kids from anywhere else!! 38. If breakfasts aren’t included at our hotel and we don’t want to pay for room service, we find self catering this meal the best option. It not only saves money but our kids are just super difficult until they eat and this really isn’t the time to try and get us all out and about. 39. Travelling for a long time is different to short term travel. Just because one form works well for your family, don’t assume the other will – at least not without some adjustment! We were constantly having to rethink and change how we were doing things to make sure everyone was happy on our 13 month adventure. For short term travel, most things are fine. For long term, I recommend trying not to plan too far ahead, having some longer stays, having regular stays in apartments rather than just small hotel rooms and planning for plenty of downtime. Read more travel tips here. 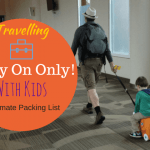 Hi Sharon, You are sharing such a nice tips in this blog that how we can travel with kids thanks for encouraging me because I don’t want to travel with my Kids I have always a fear in my mind I don’t know why but I would like to give it a try to travel with my kids. Thanks Sharon for your awesome tips! Actually, I don’t want to travel with my kids for an adventurous tour as they are too notorious and even sometimes get scared of heights. Also, they have hydrophobia and I don’t want to take any sort of risk when the question comes up on my kids. 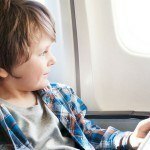 We’ve done lots of travel with our child who is now 3 – agree with lots of your tips! It is a different way of travelling but still great. With young kids you’ll be spending more time in your accommodation so I think that should be comfortable. The slower pace of travelling with kids opens you up to much more conversations and time with local people – it has been a real highlight for us. We’ve tended to go to one or two places and do them really well as opposed to flitting between lots of places. We also do house swapping – cheap, a great way to feel like a local plus you get a full house to use – often with kids spaces/toys/equipment. One downside of travelling with kids is we do miss night life – so in some places, we take turns with one of us staying home w the child & one heading out – but whoever heads out has to bring back a treat! Wow Sharon! This is an impressive list. Travelling with kids is certainly on my list to do but I often get the token ‘in your dreams’ look when I tell other parents. Thanks for the inspiration! I was not blessed with good sleepers either! I was such a sleep deprived mess the first few years. LOL! But, you have to roll with the punches, don’t you? When we were up early we saw the sunset and quiet visits to things before the crowds. It is all good!! Great list! 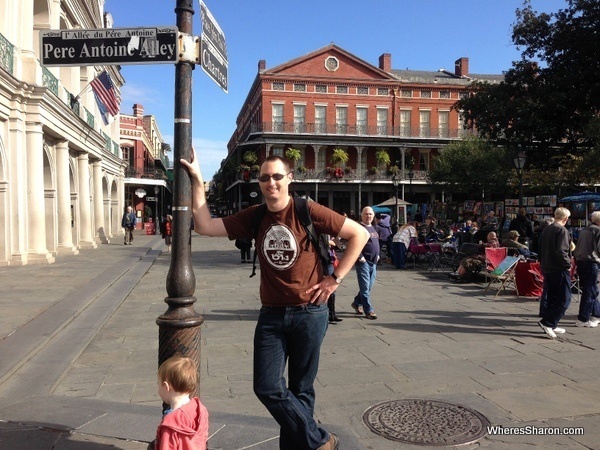 We’ve been blogging for several years now about traveling with the kids, too. It is a learning experience for sure! Great list. We have travelled a lot with our 2 and 4 year olds. Just returned from an amazing holiday in Malaysia. I used your website A LOT for inspiration of places to go with the kids while we were there. They were all a big hit! It is a fantastic family destination. I really liked your point about discipline while travelling. I find (like most probably) my kids behaviour is at its worst when they are overtired. Jet lag and different time zones can be tough on everyone, but there were times when I had to remind myself that we had made the decision to travel half way round the world with them and disrupt their routine and sleep patterns. So sometimes you have to just give them a break and despite the bad behaviour if an ice lolly is what it takes to calm the situation then so be it. Expect the odd tantrum but as you say focus on the positive of sharing these experiences with your little ones. It is an incredible learning experience for children to see and experience different cultures. Love your website and already planning our next Asian adventure after reading some of your posts. Thanks Nicola and so happy you had a good time in Malaysia! I really love that country – we are there again next weekend actually! You are completely right about the tired and behaviour connection. I do the same and also try to remember they are just little when they drive me crazy. Thank you for your thoughts. Do you have suggestions on when the trip might not be worth bringing an 18month old? We are thinking of going to Taiwan, and besides the long flight, I’m concerned about the time change. We would arrive Friday night and be leaving Thursday morning. I’m thinking it’s really not worth taking our little one on such a longboard journey for such a short stay. Thoughts? I’ve done some big timezone shifts with an 18 month old and found that they are much better at dealing with the time shift than I am! The hardest part for me has always been the shift coming home. I think when traveling infants tend to be active and engaged by new things so they adapt quickly.